Helllllooooo. I am a bit of a Freakshake freak!! Are you too. I love them, they are amazing!! Did you see this Divine and Molly Bakes Freakshake I posted on my food blog last week? Today I have a healthier on for you: Pecan Nut Butter Freakshake. Get your freak on with this indulgent treat. Combine the chia seeds and almond milk, stir well and leave in the fridge to soak, preferably overnight. Put the can of coconut cream into the fridge to chill overnight. The next day blend the chia mixture with the Pecan nut butter, maple syrup and enough almond milk to make it the consistency of a thick shake. Scrape into a jug with a spatula. 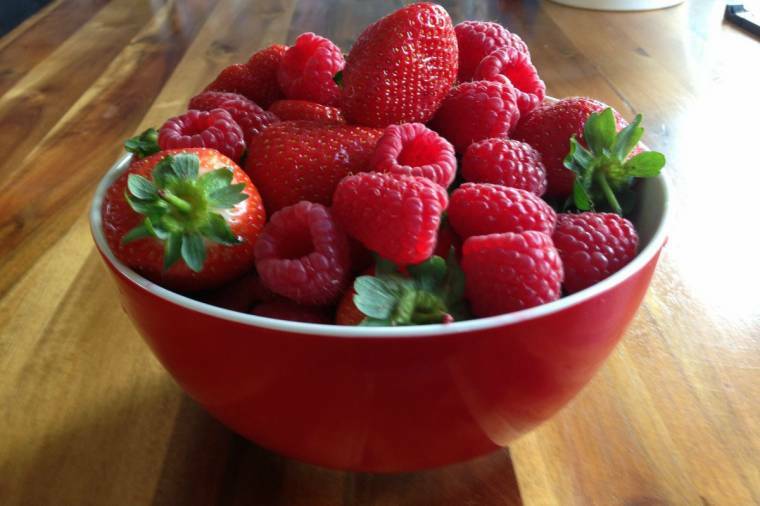 Blend the raspberries and strawberries in the same blender, no need to wash them first. Put the coconut into a dry frying pan and toast it gently until golden brown and tip into a bowl. Open the chilled coconut cream and spoon the thick cream into a bowl, leaving any coconut water behind. Whisk with an electric whisk until light and whipped. Add the vanilla paste and whisk again. To construct your freakshake spread some extra pecan nut butter inside the glass and around the top edge. Dip the edge into the toasted coconut. What do you think to this recipe today? 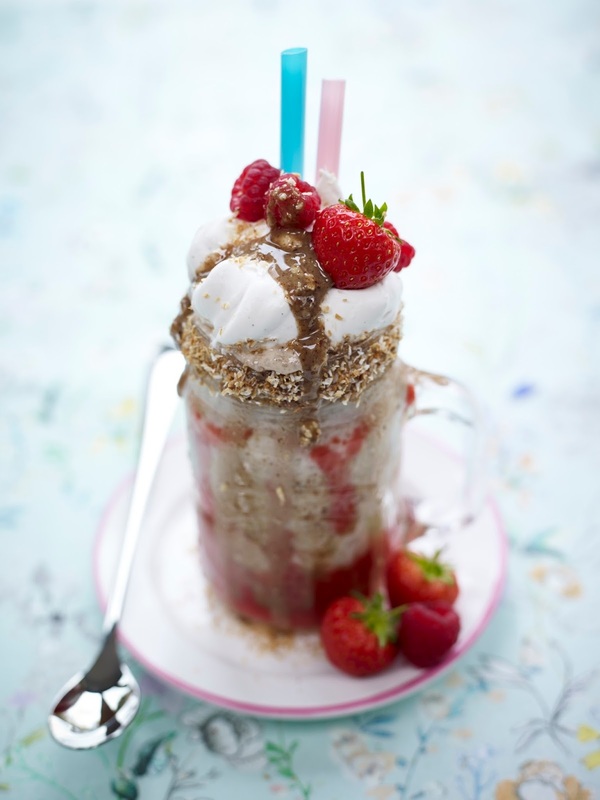 Fancy making a Pecan Nut Butter Freakshake? "Monty Bojangles Scrumple Nutty Cookies"
OMG pecan butter!! Yes please!! oh wow! This. looks. divine!!! I so need to make this! !